Bring the rustic charm of the Pennsylvania countryside to your driveway or garden with this beautifully handcrafted barn-style mailbox. 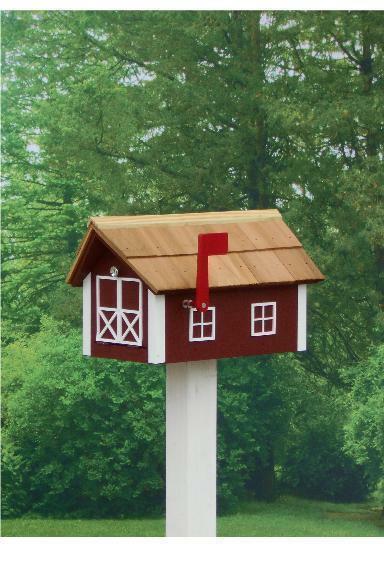 With intricate details - the barn gates and window-shapes, the shingle roof, the high-quality mail door and traditional red mail flag - that only exist in handmade products, this mailbox's durable wooden construction promises year after year of happy enjoyment and daily use. Choose from a rainbow of colors to create your perfect mailbox. If you've any questions at all about this piece, please don't hesitate to get in touch - we would love to hear from you!